Not very far into the tree lined wooded areas that surround Hoosier Pass, near Colorado State Highway #9, you will find numerous rolling landscape photo opportunities. 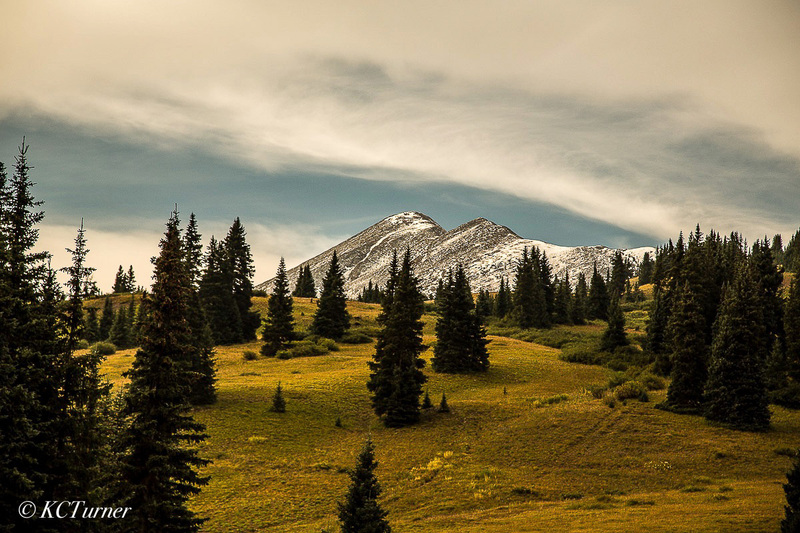 I hiked through the deep groves of Aspen trees and into this beautiful open field to capture this landscape photograph. Photo © copyright by K.C. Turner.